Jeremy Rush and Michael Bloom launched Zukul back in 2014. The program has been heavily promoted by different people, especially in social media and video sharing sites. I will give you detail insight about this site in this review. 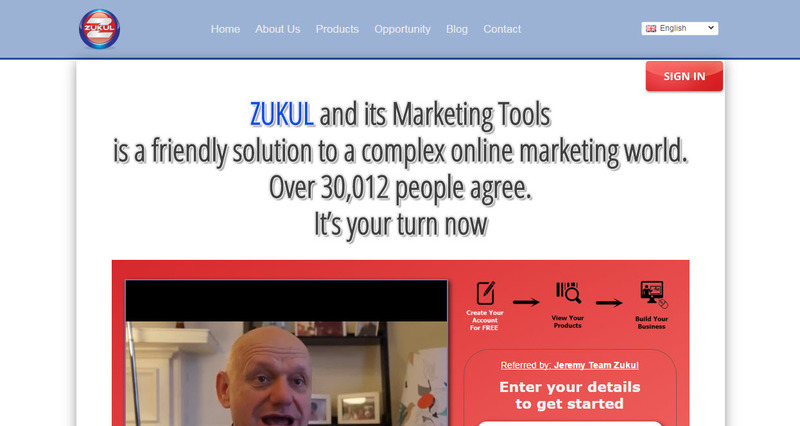 The purpose of creating Zukul is to empower opportunity explorers and entrepreneurs to discover how to leverage the Internet to get more leads and customers. Other products have also guided such things, but they made the whole process so difficult for the beginners. Jeremy Rush claim that Zukul members don’t need to mess around the technical and marketing challenges that frustrate many entrepreneurs and small-business owners. Zukul’s offers different products and systems that are geared toward helping its Members to use the Internet to grow their businesses online. Apart from above, affiliates also receive a 50% matching bonus on earnings from direct affiliates. The intermediate and advanced users are also entitled to ‘Multilayered Passive 10 Level High Funnel”. Social Sniper Pro – This is an excellent tool specially designed for those people who have huge followership on social media. This tool helps them to automate the process of posting all of their posts on social media sites. Facebook Ninja Pro – This tool assists you to use the power of Facebook for marketing advantage. This can be done by setting up unlimited numbers of campaigns with any number of Facebook Groups by sending up to 20 messages to each campaign. 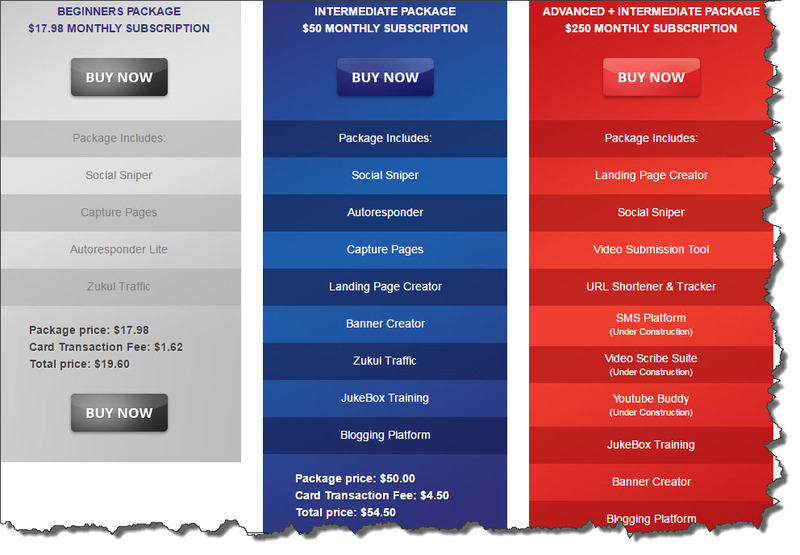 Landing Page Creator – It will allow you to make high converting Landing Pages and Squeeze Pages. Its interface is very simple to work and enable you to design a customized page within moments with all of the features a marketer would want. Viral Blogging System – They have an integrated blogging system to stay connected with your visitors, leads and customers. It also allows you to edit it by adding professional blog posts, video, images, links and lots more features easily and quickly. Banner Creator – This tool helps you to create professional looking banners in a quick and easy way. This will also save the expense of a graphics designer. Beautiful banners help your business to engage the audience, and the also allows static banners in a broad range of standard sizes for all your advertising campaigns. URL Shortener & Tracker – This tool helps you to shorten your URL to look it more user-friendly. Moreover, using tracker tool it helps you to track and test the results of your marketing efforts and manage all of your campaign URLs. Video Submission Tool – Your video can be submitted to top video sharing sites within few minutes by using this tool. Manual submission takes a lot of effort and time which you can utilize in other critical marketing efforts. There are various tools that you can access which can ease all of your marketing efforts and helps you to promote business in a very efficient way. Whether you are using their banner creator, landing page creator, link shortener, social media pro or any other tool, marketers have designed them for marketers. The community has a more than 30,000 people, and some of them are pretty active. This will help newbies to get replies very soon and also able to get their guidelines. I know how valuable it is to be under the eyes of your senior especially if you have just started. They don’t offer PayPal as payment processor option. This is due to their compensation structure is not as per their terms and conditions, and they think that it is pyramid scheme which is illegal. If you go to an advanced level then paying $250 is too much for such type of services. There is an even better program that offers much more than this and at a very reasonable price. There are other costs associated with this product also. My advice is you can use my best option that has far less price with great training and tools for your business. Enough Training to Get New Affiliates? I assume this is the most critical question about this site, and I think the training is not of such a standard quality to get the optimum results. The more problem arises due to their use of blogging platform which is not as much customizable as your own WordPress site is. There three recruitment promised system for a new member is also looking a dream. I have been part of different programs in the past also, and there is not anything new that hasn’t been offered before. I have seen too many similar platforms failed over the years because they lacked the capacity to recruit quickly enough keeping up with their commitment. The other big issue will be the success of Zukul members to recruit new people with the training they are provided. If you’re interested in pursuing a legitimate work from home income opportunity that may lead to you a full-time income, then check out my #1 recommendation.